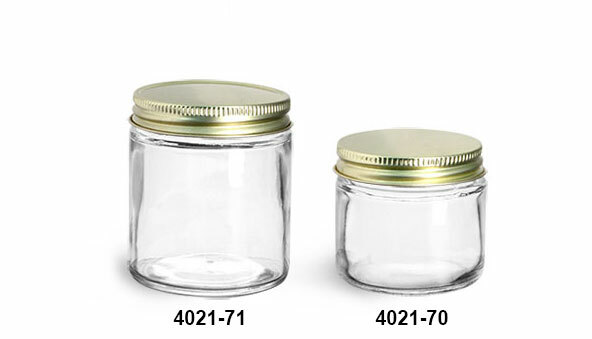 The clear glass jars with plastisol lined gold metal caps come in three convenient sizes. 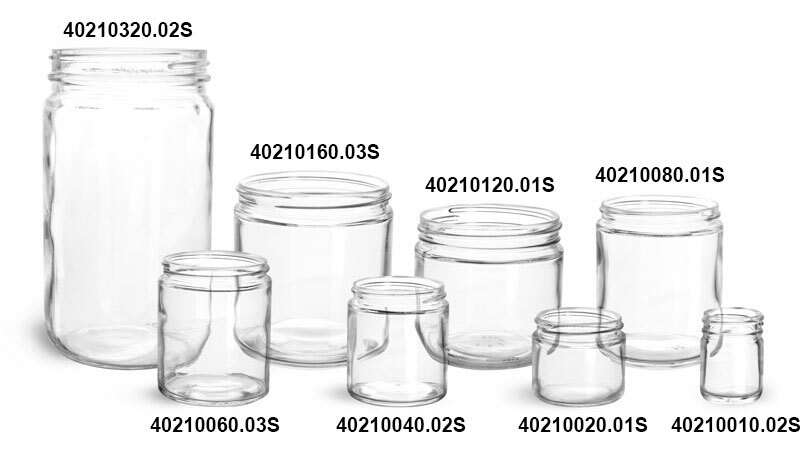 Choose the size that best fits your product's needs. The clear straight sided glass jars could possibly be the perfect thing to make your own jar candles. The stylish gold colored cap makes any product look great.